DNS_PROBE_FINISHED_BAD_CONFIG. 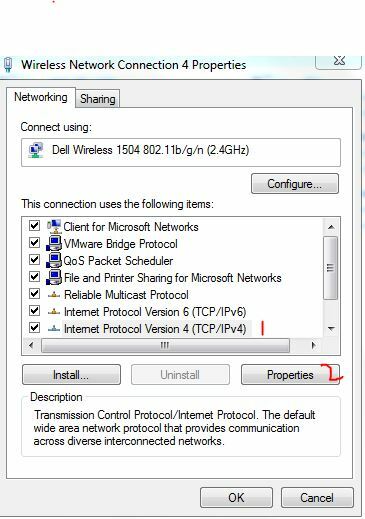 By default, your computer is set to use the DNS configured in your router or modem which is Internet Providers DNS unless it has been changed. 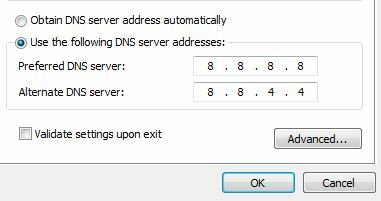 I always recommend using public dns servers, which you should see in this guide as they are most active and have a 99% uptime. If you don’t understand, don’t worry, just follow the steps below. 3. When the Black Command Prompt opens, type the following in it and Hit Enter. This will flush dns cache. Which is sometimes, the cause when there is a change in the DNS and the system is looking up its local cache to take you to the websites. 4. Once this is done, Hold Windows key and press R again. 5. This time, type ncpa.cpl and Click OK.
6. You will be taken to the network connections. What we need to do here, is update your DNS settings. 7. 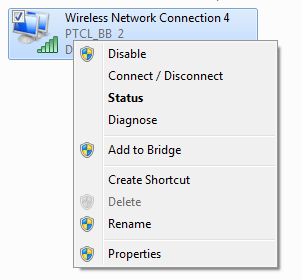 Identify your network adapter, which is connected and right click it, then choose Properties. 8. Then, from the properties pane, click “Internet Protocol Version 4 (TCP/IPv4)” once so that it becomes highlighted in grey and select Properties again. Click OK and close the rest of the windows.